on scenic Horse Lake. We offer you a relaxing holiday in a friendly atmosphere. Our campsite is a living picture, situated on the lake surrounded by pine, spruce, fir, and aspen. Lake Trout, Kokanee and Rainbow can be caught on a fly. 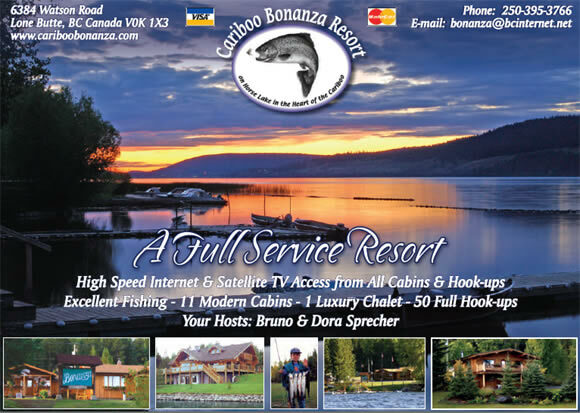 We offer some of the most exciting fly fishing and trolling in B.C.